Some people may wonder how I decide to visit the places I do. Let’s face it, apart from obvious destinations like Southern California, Florida or NYC I have also gone to places like Ozark Hills in Arkansas, Bismarck in North Dakota and Upper Peninsula of Michigan too. Why? How did I choose these random locations? Well, it is a bit difficult to explain, but let me try. It all usually starts about this time of year, in the miserable London winter months. It is cold, it is dark and commuting is a real pain. On such days any random distraction can be an inspiration. It could be an advert online, an article in some newspaper or a TV programme. But most often it is just me simply daydreaming in front of my bookcase or my trusted collection of maps. Let’s take this winter. In the last few weeks I started seriously thinking about going to Wyoming and Montana at some point in 2015. Why? In fact I have already visited parts of Wyoming and Montana in 2009, mostly around Yellowstone and Grand Teton National Parks. In case of Wyoming I traversed the whole western part of the state from south to north. But in Montana’s case I only crossed the narrow wedge squeezed between Yellowstone and Idaho, no more than 12 miles in total. Now, as I already mentioned before, I’m trying to visit all the US states and my count is currently at 47, including Montana. 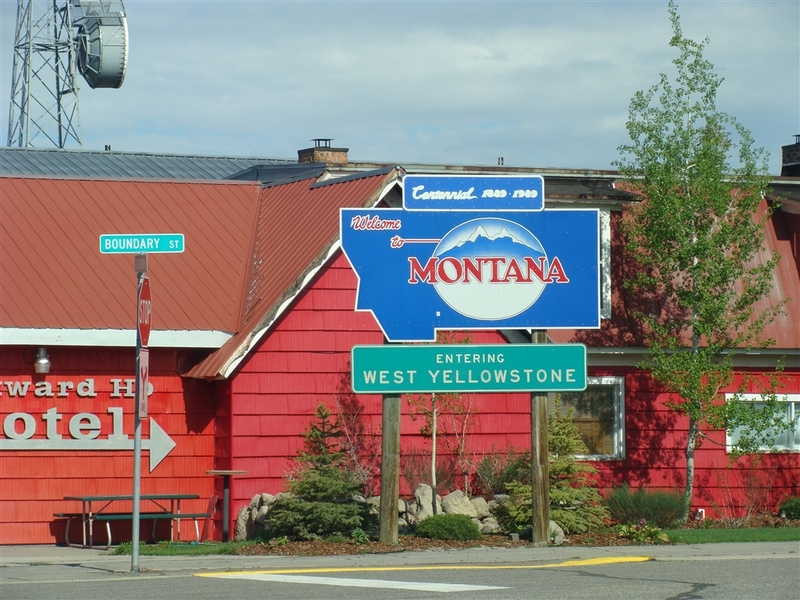 I do include it because I stopped for a few hours in the town of West Yellowstone, where I had an interesting chat about employing Eastern European students for summer jobs with a lady who runs the Subway franchise and used to employ lots of Slovaks. It was one of those slightly weird encounters you can have in small town America, particularly when you travel off season. Anyway, claiming that a 12 mile drive across a state which is about the size of Britain, Ireland, Netherlands and Belgium put together is a proper visit, is a bit of a cheat, or at least stretching it. So, that was the starting point which drew my attention to Montana and Wyoming. I began looking at maps and atlases and slowly the idea of a trip started materializing. I realised that I could fly to Denver and start my adventure there. Denver sounds like a nice place and at the same time is probably the largest US city I haven’t visited yet. Conveniently it also has a large hub airport (which means cheaper flights and easier connection with Europe). Of course the region I had in mind is a huge place so I started thinking which way and where to go. Should I explore the Rocky Mountains in depth or rather venture into the Great Plains? What should be the focal point of my trip? Every trip needs some special destination. 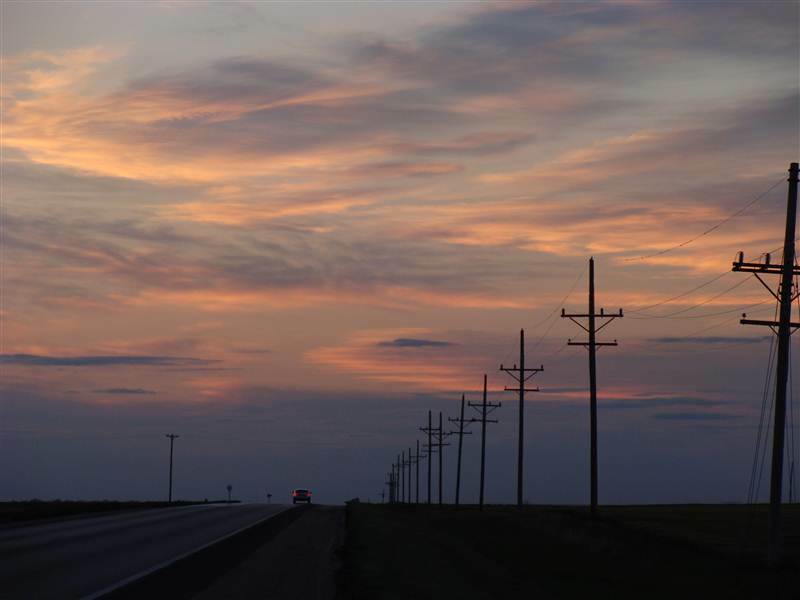 At the moment I’m inclined to head to the Great Plains as it is one of my favourite regions in America. I have visited the Northern Plains (both Dakotas and Nebraska) in 2010 and the Southern Plains (Kansas, Oklahoma and Texas panhandle) in 2011 and immensely enjoyed both trips. I absolutely love the open spaces and the long drives which any trip to this part of the world involves. I have also chosen Glacier National Park as the ultimate destination for this trip. Being located almost a thousand miles from Denver it offers a long enough journey to allow me to enjoy the vastness of the region. It also seems to be a damn spectacular park, at least judging by the photos. Don’t worry, having such plans don’t really take the fun out of exploring as I never actually stick to them too rigidly. It is more of an inspiration than a strict set of directions. I usually find other interesting places along the way, and change my route accordingly. In fact the closer I get to the later parts of my planned route the more I deviate from the original plans. In the past it happened that I went to completely different states than I had initially planned. Sometimes it is due to the weather, sometimes due to my mood, sometimes I just spot something on a map or a road sign; the bottom line is that what for some might look like a precise route prescription for me is only a suggestion. After the map is drawn I usually try to learn more about the region I’m planning to visit. I want to know more about its geography, history, people and politics. Some information I find online, some in the guidebooks but I also try to find interesting non fiction books which offer good background reading introducing me to local history and other aspects of the place. For example I have just finished two interesting books about Montana and the Great Plains in general. The first one, Bad Land: An American Romance by Jonathan Raban, describes the process of settling the plains of eastern Montana in early 1900s. It was an era of optimism and faith in science and development of new agricultural techniques. Thousands of migrants from eastern states but also from Germany, Scandinavia and Britain were encouraged by railway companies as well as by the government agencies to settle the marginal lands of Montana and the Dakotas. In countless books, brochures and posters they were promised practically the second garden of Eden. However, after a few promising, but also unusually wet, years the real climate and environment of the region revealed itself to the hapless homesteaders who left in droves in 1920s and 1930s. Raban’s book cleverly combines descriptive chapters telling the stories of the past with the travelogue of his journeys around the region in the 1990s when he interviewed descendants of the original settlers. Basically he tells the story of the region by personal stories of particular families. One of them is about a young English lady who lived a few streets from my south London home and who moved with her husband to Montana where she eventually, after many misadventures, become a photographer recording the life on the plains. Stories like that make this book a very enjoyable read. The other book I just finished, Great Plains by Ian Frazier, is sometimes described as a reportage but I’m not so sure about it. However one defines it, it is yet another great read about this huge and fascinating region. The author drove over 25000 miles across the region and lived in Montana for a while but the book doesn’t really follow any specific route or order. It is a rather random description of important facts and unimportant trivia in colourful language which makes it an immensely enjoyable book. Frazier travelled across the plains in the 1980s but during my much more recent visits I found the region no less fascinating or more tame. It is still empty and open country with an unpredictable wild weather, long distances and some weird and wonderful sites (for example an intercontinental ballistic missile silo you can visit). I guess one of the reasons why I enjoyed this book so much is the fact that it describes the Great Plains the way as I see the region myself. An absolutely fascinating place, one of the most interesting and iconic bits of America which I would prefer anytime over the picturesque New England or sunny California. I just wish I could write as well as Frazier to share my experiences. 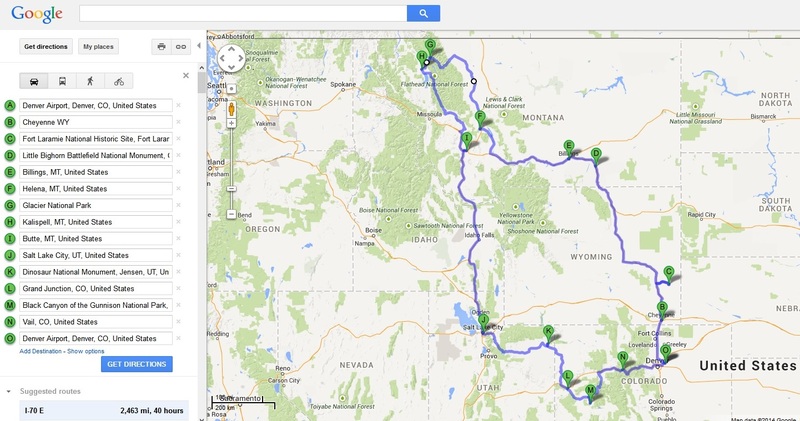 After all this early planning and reading it seems that I’ll go to Montana and Wyoming in a few months. But then, you never know. Just 2 or 3 months ago I was seriously considering visiting Florida Panhandle and Alabama to add state number 48 to my list. Then Canada briefly popped in on my radar too. I guess as long as I don’t book my flights there is still a chance of a total change of plans. So stay tuned. This entry was posted in Uncategorized and tagged Bad Land: An American Romance, Denver, great plains, Ian Frazier, Jonathan Raban, Montana, Wyoming on January 2, 2015 by admin.